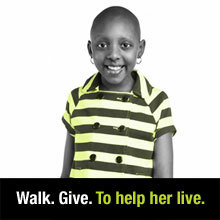 November 17th on the National Mall, people will converge to give hope to children with cancer through the annual St. Jude Give Thanks Walk. There’s no registration fee, you can fundraise as a walking team for any amount you want, and even earn prizes for various increments of money raised. Not really a walker so much (or, not really a “get up and get into DC early on a Saturday” type so much)? Vendors are also needed to make in-kind donations of everything from prizes to water and snacks for the walkers. Many of you may have participated in the Give Thanks Walk last year at Potomac Mills Mall, and this is the same great event with a new venue. However, even though it’s now in DC, it’s got a local focus as one of the beneficiaries of the money raised is local family the Duggans, whose child is fighting pediatric cancer. This event is also a locally rooted event because this year’s event chair is a PwcMom! Melissa Robey met a two and a half year old cancer patient last year and realized that she needed to get involved with St. Jude’s, which has done such amazing work. 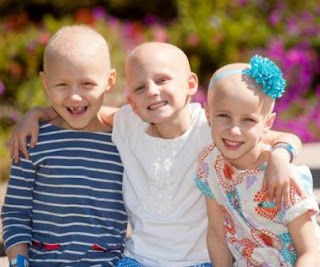 Not only do they accept every patient, regardless of the family’s ability to pay, they have changed the survival rate for pediatric cancer from 20% survival to 80% survival, and as the only cancer institute devoted to children, they get to take most of the credit for that. 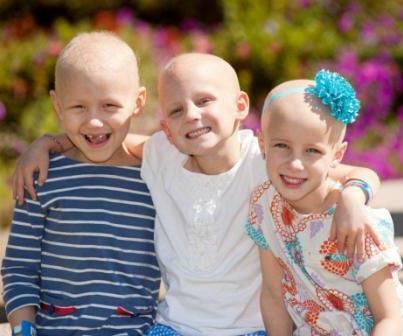 This year, 10,400 kids will be diagnosed with cancer that stops them, and their parents, in their tracks. Cancer is the leading cause of death for kids ages 1-14 behind accidents. If you can support this event as a vendor, walker, or donor, Melissa would love to work with you. You can find her team page here where you can join up as a walker if you don’t have your own team, or even found your own group of walkers, if you prefer! Walk Coordinator Melissa Robey is a local Prince William County Mom and owner of Games2u (offering free laser tag with a party in October/November to readers of this article!) as well as being a ThirtyOne consultant. She lives here in the 703 with her husband and twin boys, in addition to being a rockstar and running a charity event.